The Cal community makes amazing things happen — for Berkeley, at all levels of society, in every field, worldwide. 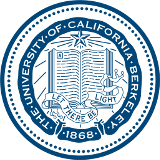 Their actions reflect the excellence of a UC Berkeley education and our mission to serve the greater good. To celebrate the transformative, inspiring achievements of our distinguished alumni, students, faculty, and friends, we invite you to nominate someone today for one of 14 awards in four categories.